Anyone who is studying business, IT, economics, CSE, law, or cryptography should have at least some basic knowledge of Bitcoin, which certainly represents the trajectory that modern currency will continue to follow into the future. In fact, exploring the basics of this topic is probably a good idea for any individual who is currently enrolled in college classes, regardless of specific major or future career goals. With its cutting edge antifraud capabilities, Bitcoin leads the pack in terms of viable ways to conduct ecommerce. Any exploration of Bitcoin will inevitably result in a subsequent exploration of blockchain. A blockchain is the data structure that enables the creation of a digital record of transactions, with the purpose of sharing that data among network users. When used in reference to Bitcoin, the term is used to describe a ledger of all the Bitcoin transactions that have taken place. Thus, if you wish to learn the basics and significance of Bitcoin for current and upcoming generations, you will need to understand the basics of blockchain, as well. If you aren’t yet certain as to the reasons that Bitcoin is a game changer, the following points may help you to conclude why you, as a college student, should be aware of Bitcoin and its potential impact on ecommerce. Whether or not you become a proponent of this form of virtual currency, enough people have embraced the concept and practice of using cryptocurrency to the point that its continual development is imminent – no matter what naysayers may believe. If you have any intention of entering a field such as finance, business, IT, cryptography, CSE, or even law, you might further enhance your employability after graduation by having a solid understanding of Bitcoin under your belt. Because the cryptocurrency industry seems highly likely to appeal to modern society as a more convenient, safer form of payment than past options, you can only broaden your career horizons by studying cryptocurrency and blockchain. As a point of research, these subjects will continue to offer a wealth of possibilities for professionals in a variety of industries. What makes Bitcoin and its public ledger system invaluable to businesses? Simply put, the currency gives businesses and their customers more payment options. The fees for such currency are typically lower than for credit cards. The strictly variable pricing model offered by Bitcoin enables more people than ever to engage in micro-transactions. Peer-to-peer transactions are also more desirable when using Bitcoin as currency is possible. Businesses now have more advanced, next-generation blockchain options from which to choose, such as Nxt and Ardor. As a college student of today, you would be wise to do some research on Bitcoin and blockchain. Such concepts have been in practice for years, and their popularity among businesses and consumers seems destined to flourish in years to come. By gaining an understanding of cryptocurrency and public leger systems now, you could place yourself ahead of the game and your future competition. There are hundreds of different accessories available for cell phones, but how many can one little device accommodate – and how many do you really need? Depending on how you use your phone, certain add-ons offer great advantages, such as better lenses for those who use their cameras for serious photography. But other phone accessories are all flash and no function, and that’s where we run into a problem. Here are 4 accessories you phone needs and 3 more you can do without. Save your money for your data plan and limit your phone accessories to the bare necessities. Bluetooth Headset: If you drive at all, a Bluetooth headset is a must have. While it’s preferable to drive without distractions, for many of us, talking hands-free while we drive is as close as we can get. Pair it with a car mount and you’re ready to go – just resist the temptation to reach over and text. Portable Charger: You’ve probably been seeing a lot more of these lately. Portable chargers typically look like large USB drives or other small, sleek implements with a phone cable attached. Charge the device from a computer before you leave the house and take some extra battery life with you. Heavy Duty Phone Case: Everyone needs a case for their phone, but some cases are tougher than others. Sometimes termed “ruggedized,” this type of phone can take anything you throw at it. This is great for the more adventurous or accident-prone among us who frequently find we’ve dropped our phones in the toilet or the river. Your standard heavy duty case can help you avoid water damage and protect your screen from breaking, the most common phone damage complaints. Assess your phone case options and scale the level of protection to fit your personal needs. Quality Camera Lens: With Instagram being one of the most loved apps around, many people consider their smartphone to be their primary camera. What’s more, Instagram connects to many other apps, allowing users to share their photos easily.For those who want to take their photography up a step, add-on lenses are a great option, allowing you to get better focus or a wider range without having to upgrade your device. Plus, with all of the filters and editing tools available right on your phone, why make things more complicated? Flip the lens on when you’re shooting photos and then tuck it away when you’re editing or otherwise occupied. If you leave it on, your phone probably won’t fit in your pocket. Portable Speakers: We all love being able to blast our tunes for our friends, but the speakers built into our phones just aren’t strong enough. That’s why so many people invest in clunky wireless speakers. The problem is that unless you’re playing that music at home, you probably don’t have them with you.What you probably do have – no matter where you are – is a paper cup or similar object. Finished that Starbucks beverage? Grab a napkin, dry out the cup, and you’ve got a speaker. Putting your phone in a cup is an easy way to magnify the volume. If you’re at home and you want to do even better, a metal mixing bowl or sauce pot will play your music louder than an average pair of speakers. Smartphone Printer: Maybe you didn’t even know you could buy such a thing – but you can. Smartphone printers are a pricy way to turn your phone into a Polaroid camera. You can transmit photos from your phone straight to this tiny device. Alternatively, you could email them to yourself or drop them into an app for a print service and get those pictures a lot less expensively – though with a slightly longer wait time. The Selfie Stick: These are available from a number of different companies now, but the proliferation isn’t really worth it because most major attractions are banning the popular photography tool. Selfie sticks are no longer welcome in Disney parks, most museums, the Kentucky Derby, many music venues, and even the Colosseum in Rome. If you can’t take it anywhere, why buy it? Stop overburdening yourself with phone add-ons that end up piling up in your desk drawer. When you think about what you really need your phone to do, you’ll realize you don’t need most of that stuff – but the stuff you do use will stand out, as anyone with a ruggedized phone that they dropped in a swimming pool can tell you. Know yourself…know your cell phone accessories – it may not be the traditional Greek aphorism, but it holds true. The ancient Greeks didn’t have selfie sticks anyway. 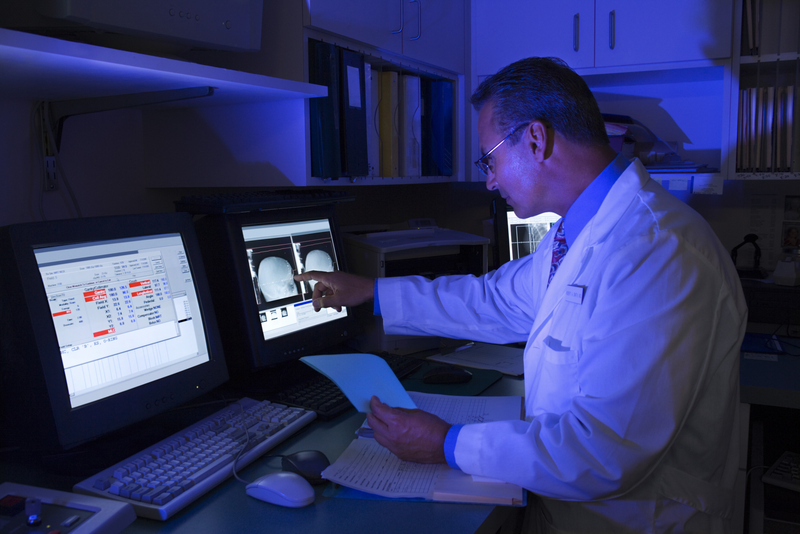 Engineers are generally thought of as older individuals with advanced degrees. However, inventions and breakthroughs sometimes merely require creativity, the need to solve a problem and the initiative to follow through. A number of innovative ideas have come from the minds of young college students who have devised a variety of interesting products. Twenty-three year old Sean Whalen designed and constructed an anti-gravity treadmill that he originally intended to be used by astronauts at NASA. However, the ingenious devices are now serving to rehabilitate patients in medical facilities and used by athletes for training. The concept behind the unique treadmill involves reducing the amount of stress that weight-bearing structures must support while walking or running. Joe Carabetta, an engineering student from Purdue University, combined his efforts with a friend to establish a company called “Kicker.” The young entrepreneurs design and build electronic accessories for skateboards. The two developed the concept of a battery-powered motor that quickly attaches to one of the rear wheels of a board and features a sensory mechanism. Once applied, the device uses friction that enables skateboards to travel up to 25mph. Carabetta claims the battery lasts a couple of days before requiring charging, which merely requires a standard wall socket plug-in. In keeping with conservation endeavors, four students from Tufts created a shower head that monitors how long someone has been in the shower. Called “Uji,” the device emits a light that turns from green to red over the course of eight minutes. Though designed with eco-friendly enthusiasts in mind, the four also believe that parents with teens might also be drawn to the concept. A group of students from Rice University constructed a soap dispenser that uses conventional bar soap. The internal components include a grater that is similar to the kitchen utensil that many use to grate cheese. Instead of liquid soap, the device emits finely grated flakes, which provides users with a larger number of hand soap options. 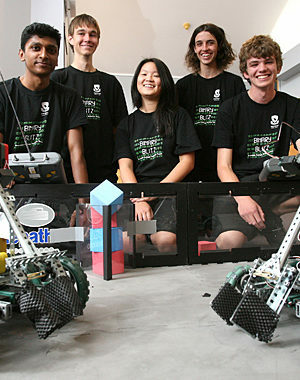 The team also believe that the uniqueness of their invention would serve as a good conversation starter. Rick Arlow and Zach Bloom, two students from Pennsylvania’s Lehigh University developed a device that opens a patient’s airway in an emergency instead of needing to perform a tracheotomy. The simplistic design of the devices would enable anyone from first responders to medical professionals to open an airway in as little as one minute of time without the need for unnecessary surgery. Arlow, having experience working as a paramedic, saw the need that led to the idea. The concept design was based on the structure of a pit viper snake’s fangs. 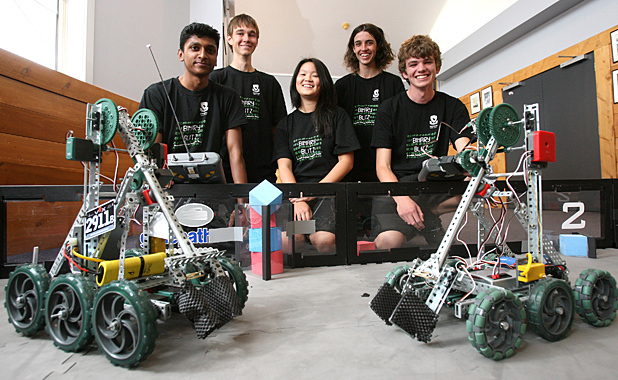 Chris Taylor was a student at Georgia Tech when he conceived of the idea of creating “Chewbots,” which are mechanical toys designed to entertain dogs. He entered his whimsical creations in an inventor’s competition and won $20,000 for his efforts. Thus far he has three toy designs. A mechanized duck on wheels and a plush or a rubber snowman that bounces via a vibrating motor. Based on tests performed with his products, Taylor shared that dogs love the toys. 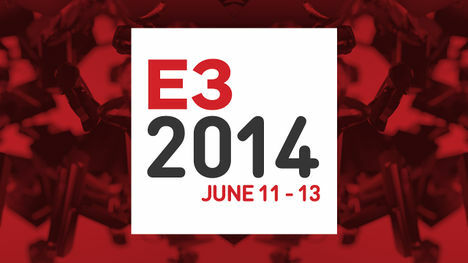 E3 is the chance for every major video game developer to showcase their upcoming projects to the world. If a game excites and surprises attendees, then it’s well on its way to becoming a success once it’s released. While there were dozens of great games on the E3 floor this year, these were the 10 most impressive. Nearly everyone in attendance can agree that “Evolve” was the most visually impressive game at E3. “Evolve” is a co-operative first-person shooter from the creators of the “Left 4 Dead” series. The game pits four human players against a giant monster controlled by another player, and it will be released on the PS4 and Xbox One this October. “Destiny” has been exciting fans since its reveal at E3 last year. “Destiny” is Bungie’s follow up to the “Halo” series, and it is already the most expensive video game ever made. The mixture of a single-player campaign and a massive multiplayer online world make this one of the most unique games on the E3 floor. Rocksteady knows how to create amazing Batman games, and “Batman: Arkham Knight” looks like it will be the best in the series. The ability to drive the Batmobile should excite any fan. This Xbox One exclusive looks like a strange mixture of “Dead Rising,” “Ratchet & Clank,” and “Tony Hawk Pro Skater,” but it was easily one of the most fun games found at the convention. Insomniac Games is known for absurd and over-the-top games, and “Sunset Overdrive” looks no different. This game came out of nowhere at E3 this year, and it was easily one of the most stylish games on the floor. This Xbox One downloadable exclusive is a challenging platformer in a vibrant and beautiful world. “The Witcher 3” was the best role-playing game at E3 this year. “The Witcher 2” was one of the most underrated games of the last few years, so hopefully the amazing show at E3 will allow this game to get more attention. Anyone that loves online multiplayer shooting games, is going to have to get their hands on “Rainbow Six: Siege.” The game features five-on-five matches that force the players to work together in order to succeed. The tension, fun and beautiful graphics delivered by “Rainbow Six: Siege” will be hard to top for any other game in the genre. “Bloodborne” is the spiritual successor to “Demon Souls,” but set in a completely different world. While you may have a gun and in an old gothic city, the trademark difficulty is still in place. “Mario Maker” has answers the dreams of millions of fans by allowing them to create and play their own levels in a “Mario” game. The game will also let the player switch between 8-bit and HD graphics. “Forza Horizon 2” continues the series’ dominance as the best racing game on any console. In addition to the beautiful graphics, “Forza Horizon 2” features an enhanced A.I. system that learns your behavior for more competitive races. With the arrival of E3 2014, Nintendo has finally unveiled their first substantial glimpse of the legendary fighting title. The long awaited fourth installment will debut on the Wii U. As fans of the series will agree, the wait for a sequel has been too long. The console has already been on the market for over two years, so this release is meant to give the system a boost at a critical time when the Wii U is being threatened to fall into obscurity while Xbox One and Playstation 4 march on. This overview explores what was unearthed about the upcoming brawler. The visual beauty of the title swept convention attendees off their feet. Mario’s league of battling buddies has been reunited in beautiful detail. At 60 frames per second, these combatants have never been rendered so smoothly. The stages still make the most viscerally powerful impact at this interval of promotion. Sparkly levels include trips to the “Super Mario Galaxy” and “The Legend of Zelda.” Over 30 characters from Nintendo’s various franchises will be presented in high definition. Considering the game’s rough-and-tumble demeanor, it’s surprising to see such magnificent fluidity. Crystalline clarity was the key takeaway from the game’s showfloor display at E3. Nintendo is still being incredibly secretive about the complete cast, but they used E3 to announce the inclusion of a major new fighter: Pac-Man. As the demonstration revealed, his swift attacks consist of eating pellets to gain strength and throwing colorful fruits. The infamously nimble-footed gobbler fits perfectly into the already established balance on the roster. Pac-Man’s inclusion could attract a wide demographic of arcade gamers that have remained unacquainted with Nintendo’s furious fighting franchise. The game functions remain faithful to the same basic format that launched on the Nintendo 64 in the late 1990s. Every Nintendo console controller can be directly integrated with the game ranging all the way back to the Gamecube. E3 featured gameplay using the GameCube controller, and it’s yet to be seen how the Wii U’s secondary video screen will be accommodated. It may enable unique approaches and strategies for players with different hardware. The simplicity of design has not been tampered with, so faithful followers of the series won’t miss a beat. People that have not played in over a decade will be able to pick up where they left off. Overall, the game is one of the stand-outs of E3, and one we can’t wait to get our hands on. One thing we can ascertain is that Nintendo still truly knows how to build hype. Smash Bros. for Wii U will be the most anticipated release of the season for many gamers. E3 has shown Nintendo’s fans that the wait will be worth it. This year’s E3 show floor was full of pleasant surprises that will put a smile on the faces of gamers across the globe. The next generation consoles are poised to sell record numbers of games in the upcoming years thanks to the strong gaming lineup that is on its way. 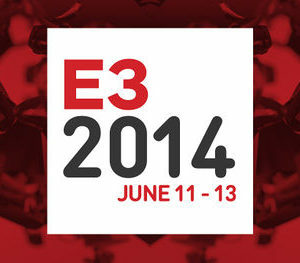 Let’s take a look at the most surprising games from the 2014 E3 show floor. This game absolutely came out of nowhere. It looks like an Alfred Hithcock movie put into a video game. Few details about the game are available at the moment besides the fact that an independent studio called Osome is responsible for the game. Players will solve puzzles while navigating through an centuries old mansion. The visuals are predominantly black and white and the game makes excellent use of lighting. White Knight should be released at some point in 2014 for Mac, PC and consoles. While Little Big Planet has been a raging success, nobody expected the third version of this game to look so good. Its graphics are superior to the previous two editions of the game and that is largely thanks to the skilled developers from Sumo Digital who have been burning the midnight oil on this masterpiece. Little Big Planet will be available this November. The fact that the newest version of Assassin’s Creed looks so good is a bit surprising considering that the franchise has stumbled in the recent past. Players have complained about the combat controls for half a decade now. After testing out the new game, Unity, at E3, it appears that the problems have been fixed, and we can’t wait to get our hands on this game. Crackdown is returning. It will be available strictly for the Xbox One. The trailer looks fantastic. Part of the trailer shows the game player taking down a building to put an end to a notorious drug runner. This is perfect for co-op action. 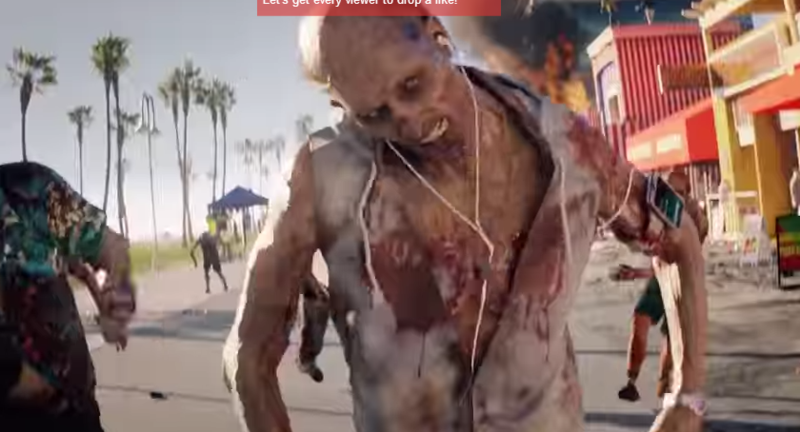 The Dead Island 2 trailer looks fantastic; it was my favorite trailer from the show. The new version of the game is being developed by an entirely new team and they are focusing on making the game far more humorous than the first version. Nintendo’s Splatoon was one of the coolest looking games at E3. It is a third person shooter but with a paintball element. The visuals were outstanding. It looks like an incredibly fun shooter instead of the typical dead serious shoot’em up games that litter the gaming landscape. Plenty of people on the floor were shocked to learn that Grim Fandango is coming back. LucasArts new version of the game looks similar to the previous version in terms of style and characters but the graphics have been significantly boosted. The game looks to have a humorous edge to it and its visuals are quite impressive. The new Grim Fandango will be available for PS Vita and PlayStation 4. Ubisoft is bringing back the Rainbow Six franchise with this new title, called Siege. This is a bit shocking considering that most expected the company to provide gamers with a new Prince of Persia or a new Beyond Good Evil. Siege looks excellent with plenty of action filled missions that can be tackled with the help of teammates. This first person shooter should be a huge hit. The graphics on the new Batman game absolutely wowed E3 attendees. Rocksteady really stepped up to the plate and hit a home run with Arkham Knight. Batman jumps around the city on rooftops and battles urban goons just like in the movies. The new Batmobile looks unbelievable. This medieval fantasy oriented role playing game looks enormous. This mammoth project taken on by BioWare was one of the coolest looking games at E3. The game’s course of play revolves around the player’s decisions. The audience especially enjoyed the tactical camera mode and the game’s wildly hectic combat. Among the big reveals at this year’s E3 conference was the return of the Dead Island franchise in the form of Dead Island 2. This installation serves as a sequel to the original Dead Island—a role playing-style first person game where players controlled characters stuck on an island that is the epicenter of a zombie apocalypse. In the first game, players had to hack, slash, and shoot their way through missions to survive the zombie hordes. Alone or in cooperative mode, they explored the island for gear and weapons and met colorful characters along the way. With a limited amount of ammunition and firearms available on the island, an emphasis was placed on crafting creative and deadly melee weapons for hand-to-hand combat. Following an intriguing and controversial trailer, the original game was released with a lot of hype. Players loved many aspects of the innovating new gameplay, from the plot to the combat to the loot and crafting system. The game sold well enough overall to merit the development of Dead Island 2. Gaming fans were treated to a sneak peak at this year’s E3 conference, which has become an annual opportunity to major and minor players in the video games space to show their wares and create anticipation for upcoming products. First, it’s being created by a new game studio. The development company Yager is taking the reins from Techland, who created the first Dead Island. Yager has created several games of critical claim, including Spec Ops: The Line. A fresh look on the franchise promises to add even more spice to the heralded series. The game’s new setting seems to offer more options for innovate gameplay and compelling plot points. In Dead Island 2, the zombie infection has spread to California (which, it’s worth noting, is certainly not an Island). Players will start at a coastal city in Southern California. From here, there’s really no limit to where the game could take you: sprawling suburbs, jagged mountains, the Hollywood Hills, or a surf soaked beach teeming with undead. It’s probably safe to assume that its plot and characters will follow suit with bizarre situations, crazy personalities and a fair amount of joking around. The game’s developers promise a swath of crazy new weapons to build and wield against all-new enemies. According to the development team, Dead Island 2 was developed with the goal of building an “awesome and kickass” zombie game rather than a somber or scary game. More about Dead Island 2 is set to be revealed at this year’s PAX, beginning at the end of August, and we’re excited to see more of this hit from E3. Few franchises have added to the historical fiction genre as much as Assassin’s Creed, and many avid fans were excited to see that the 2014 E3 would happen to bring another title to this world-renowned series of games. While the most recent releases have had players fighting in the American Revolution and sailing off into the Caribbean aboard their own pirate ship, Assassin’s Creed: Unity will transport fans to one of the bloodiest clashes in modern history, the French Revolution. Here is a closer look at the first few glimpses of Assassin’s Creed as it is headed to the Playstation 4, Xbox One, and the PC. In this installment, players are going to find themselves surfing through the memory of the gritty hero Arno Dorian as he carefully picks his way through the beginnings of the French Revolution. Ubisoft has released this title with the statement that they would like to “tell the thousands of stories of Paris” through this game, and it shows as there are now countless organizations, aggressors, and factions that Arno will encounter throughout his travels. In the end, the game revolves around the idea that it is up to Arno Dorian to not only uncover the mysteries of the French Revolution, but potentially affect the outcome. The previous two installments of Assassin’s Creed did help to prove how massive of a game world Ubisoft is capable of making, but the landscapes tend to open up into large forests and vast seas. Unity, on the other hand, revolves around the gritty streets of Paris, the catacombs, and the outlying areas. The population is tightly packed and gameplay has shown just how bloody the French Revolution truly was. The stark contrast between Paris’s iconic architecture and the haggard civilians stumbling around the city is apparent right from the start of the game, and players will be astounded to see just how much of this world they are able to explore. Ubisoft stated that the explorable city of Paris is larger than all the landmasses from Assassin’s Creed IV: Black Flag combined. For those that have played any previous installments in the Assassin’s Creed series, the gameplay and controls will be second nature. Players can choose between running along the rooftops of the town or blending into the crowd down below. They have options to carry out some of their quests in the darkest shadows or spill blood on the streets and use their weaponry to keep enemies at bay. Outside of minor changes to the HUD and mini map, very little has seemed to change in this regard, except one major feature that fans of the series have asked for: the ability to quickly and easily climb down buildings. Previously, players were forced to find a haystack or pile of leaves in which to jump in order to get down from high buildings. Now, Ubisoft will allow players to press a button to climb down a building, causing Arno to find the quickest and easiest path down, automatically. Multiplayer is now fully integrated into the game with a variety of primary campaign missions and side quests. This is the single biggest change to the franchise and one that has required quite a few advancements only available to the next-gen consoles. Players can simply scale the tallest buildings, at which point they will be able to “see” missions and available players off in the distance as beacons of light. 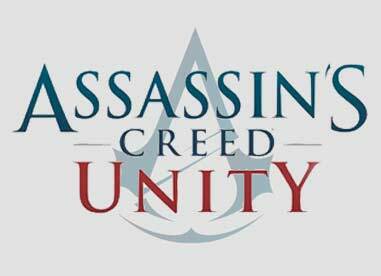 This allows them to quickly bring in backup and create an entire new dynamic to AC: Unity. Not so long ago, simply having a computer in the office was a luxury, but today’s business office has both employees and clients walking in with computers in their hands. Now that tablets and smartphones are part of normal society, businesses are looking for unique ways to integrate these devices into everyday sales processes. With data plans skyrocketing in price and limited access, more people are looking for free Wi-Fi. If you’re the business that offers free Wi-Fi, you could boost your profits into the clouds. Place key signs across showrooms and offices to advertise your firm’s social media platforms, including Pinterest, Facebook, and Twitter. Ask clients to “Like,” “Share” and “Follow” the business. Signs should also clearly note that free Wi-Fi is available for all customers. The moment people see that, many of them will dive for their devices. When free Wi-Fi is advertised with social media platforms, clients may instantly visit those sites to see store deals or products. Either way, they’ll be immersed in the company’s products before they walk across the showroom. Once free Wi-Fi is up and running, ask your company’s IT professional to add banners. Clients who log into the business’s Wi-Fi instantly see a banner on their device. That’s instant advertising. The banner can indicate a sale at your business or even for a related company down the street. Because clients have their nose to the device for most of the shopping experience, the banner becomes part of their reading material. It’s instantly in their minds for a possible future sale. In these fast-paced times, clients want to feel that small business comfort, from a welcoming smile to a helpful associate. When they know that free Wi-Fi is available all the time, that can also make them feel appreciated. In essence, the business exhibits its understanding of precious client time. By offering the Wi-Fi as a gift, for example, you can make clients feel inclined to visit and spend money as a thank you. This reciprocation idea leads to sales and customer loyalty. 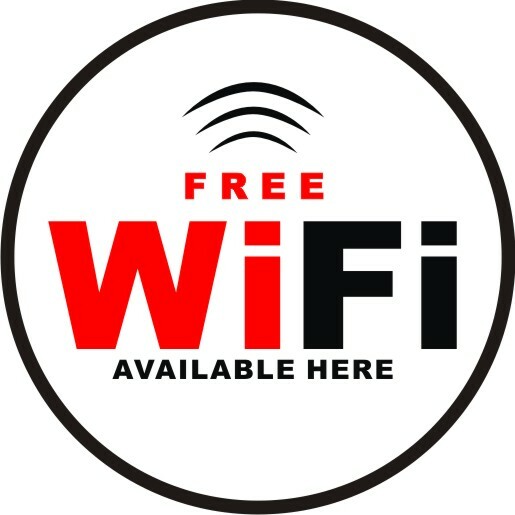 Clients using free Wi-Fi can also advertise your business themselves. For example, they might snap a photo of a favorite product and post it on Twitter. Other people will see this picture and regard the product as a little more attractive. Your veteran customers have given your company free advertising to potentially hundreds or thousands of other people. Allowing clients to post opinions and pictures of a showroom can only boost profits in the long run. Although privacy is a concern for all clients who use free Wi-Fi, businesses have the right to check if the system is being used for illegal purposes. During this checking process, however, businesses can also see what kind of comparison shopping people are performing. If there’s an issue with a product, your company can pinpoint the rumors and nip the problem in the bud. Clients can also have targeted advertisements sent to their email for future sales. If a client was evaluating a blender, for instance, the new model arriving next month is a perfect match to that person’s needs. 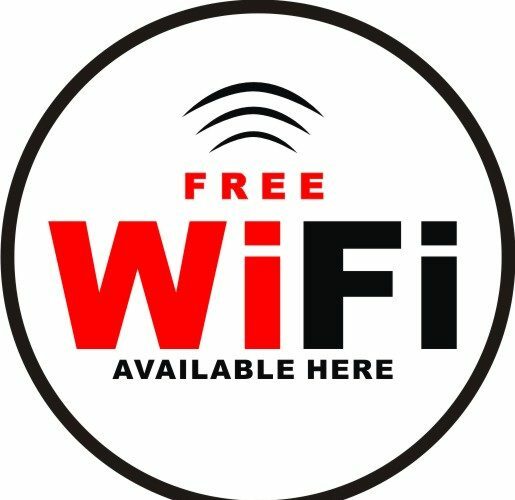 Consider free Wi-Fi for any business. Its uses and benefits are endless. For the last ten years streaming media has swiftly become the entertainment of choice for many consumers. It’s also the quickest way information and news is reaching a mass audience in terms of on-demand services. In fact, subscriptions to cable television services have fallen to an all-time low. The entire media industry is facing a shift in viewership that seems to reflect a huge shift in the way people look at the Internet and streaming technology. Viewers are having a direct impact on the type of media technology that will ultimately be successful. Streaming subscription services are offering exclusive content that’s unique to each provider. Exclusive content usually comes in the form of television shows or user-produced content. The enticing prospect of streaming television service is encouraging a new niche of independent producers and creative filmmakers eager to claim a piece of the data pie. While deals between larger streaming outfits are aligning with broadband providers, a new generation of subscribers are willing to pay a small fee for user-driven content. Sites such as YouTube have become the foundation for sites like Vimeo and Hulu. Why is this notion of user-developed content so important in the scheme of media data consumption? The combination of the capacity of the Internet and the potential bandwidth of service providers have an effect on the market price of content delivered. The success of each device relies on the ability of users to transfer the same experience from one device to the next without sacrifice. Data centers will need to be prepared for the new influx of new devices on the market. The revenue potential is huge for new device architecture. According to Gartner, Inc., more than $300 billion in sales alone could be realized by the year 2020. Forward-looking staff have purported to be an important factor in preparing for the new way Internet streaming technology will soon function. Streaming media is turning up in everything from the kitchen refrigerator to the smart phone. The increase in device presence is a substantial factor with regard to both data privacy and network monitoring on a large scale. The consumer is typically unaware of the technology that runs behind the streaming service updates and physical hardware. 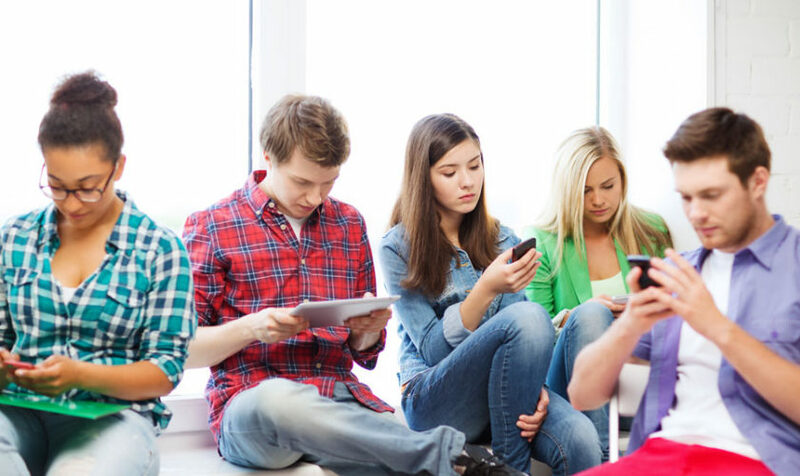 An increased presence of device access is both exciting and challenging. Rumors of additional video streaming devices such as Amazon’s TV media dongle have increased the connection between the Internet and exclusive content development for the home. The results are a startling contrast between each device in terms of the uniform nature of the shows available as well as some differences. Users are largely dictating the demand for specific content, based primarily on the show itself. The result is a race to user-centered design logic and the inclusion of staple shows with high ratings included in many packages. The data usage itself becomes a question of whether or not the service offers something distinct from other service providers in terms of shows or content.